A type set is a representative collection of each of the types of coins produced by the United States Mints. For numerous reasons, including the cost, many collectors will group several coins together as a representation of a type of coin. 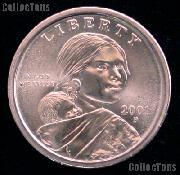 For instance, one might collect a Liberty Seated dime, quarter & half dollar as an example of the Liberty Seated type coin. Other collectors enjoy the sub-types within the design, for instance the Liberty Seated design, with & without arrows at date as well as with and without motto. There are many ways to collect type coins and it is ultimately up to you, the collector, to determine which type coins you wish to have in your collection. We have assembled a number of the popular types out there, as well as many of the sub-types.